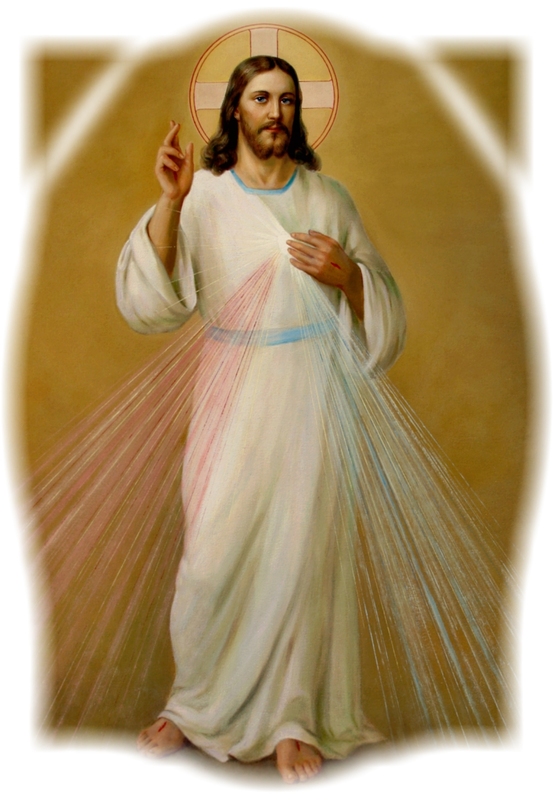 Divine Mercy: 44 One day Jesus said to me, I am going to leave this house…. Because there are things here which displease Me. 44 One day Jesus said to me, I am going to leave this house…. Because there are things here which displease Me. And the Host came out of the tabernacle and came to rest in my hands and I, with joy, placed it back in the tabernacle. This was repeated a second time, and I did the same thing. Despite this, it happened a third time, but the Host was transformed into the living Lord Jesus, who said to me, I will stay here no longer! At this, a powerful love for Jesus rose up in my soul, I answered, “And I, I will not let You leave this house, Jesus!” And again Jesus disappeared while the Host remained in my hands. Once again I put it back in the chalice and closed it up in the tabernacle. And Jesus stayed with us. I undertook to make three days of adoration by way of reparation. 45 Once Jesus said to me,Tell Mother General [Michael} that in this house…. Such and such a thing is being committed … which displeases Me and offends Me greatly. I did not tell this to Mother right away, but the uneasiness which the Lord made me feel did not permit me to wait a minute longer, and I wrote immediately to Mother General, and peace returned to my soul.